SKYCABLE has given no timetable on the return of Basketball TV and NBA Premium to its channel lineup, but assured it is “working on a resolution” with NBA rights-holder Solar Entertainment with the league's playoffs drawing near. 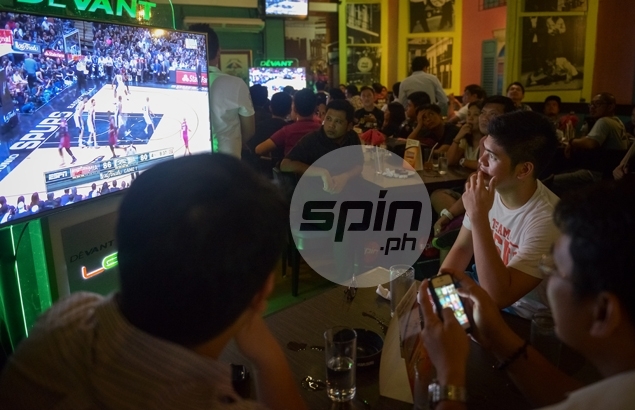 SKYcable issued an official statement on its website on Friday night amid fury from NBA fans after the two basketball channels owned by Solar Entertainment disappeared from the SKYCable and SKY Direct service just days before the NBA Playoffs begin on Sunday (Manila time). SKYcable apologized to its subscribers for the unavailability of Basketball TV and NBA Premium as well as other Solar Entertainment-owned channels like Jack TV, Solar Sports, and CT, but added negotiations are ongoing for the return of the channels. SKY, however, assured subscribers can still watch the NBA Playoffs on free TV channel ABS-CBN Sports + Action and FOX Sports. A schedule of NBA playoff games on both networks has been released and it showed it will be airing at least one game every day beginning on Sunday. “SKY regrets to inform its valuable subscribers that Solar channels, namely NBA Premium, BTV, Jack TV, Solar Sports, and CT are temporarily not available. It is unfortunate that it has affected the airing of the NBA playoffs. “Solar has been our valued partner for many years. We are working with them for a resolution, but we cannot comment on the details of our discussions,” said SKY in a statement. “The concerns of our subscribers and viewers are of utmost importance to us. Again, we offer our sincere apologies for the inconvenience,” SKY added. Answering queries from subscribers on its official social media accounts following the official statement, SKY said it has no definite timetable on when the two channels will return. “We are working with Solar Entertainment Corporation for a resolution on the carriage of their channels, but we cannot provide a specific time at this point,” said SKY on social media. ABS-CBN Sports + Action’s live coverage of the NBA Playoffs begins with a doubleheader on Sunday between the Memphis Grizzlies and the San Antonio Spurs at 8 a.m., and Utah Jazz against Los Angeles Clippers at 10:30 a.m.
Another doubleheader follows on Monday with Chicago facing Boston at 6:30 a.m., and Oklahoma City against Houston at 9 a.m.
Game Two of the Indiana-Cleveland series will be shown on Tuesday, 7 a.m., while Game Two between Utah and Los Angeles Clippers will be aired on Wednesday, 10:30 a.m.
Game Two of Oklahoma City against Houston will be on FOX Sports on Thursday, 8 a.m., while Game Two of Portland against Golden State will be on the same day on ABS-CBN Sports + Action at 10:30 a.m. The Boston-Chicago Game Three affair will be on Saturday, 7 a.m. on FOX Sports.